Slot machines sure are fun! There is just something entrancing about the colors and the sounds and, of course, the immense amounts of money that you win. There is excitement for everyone even if you are just watching. The ecstasy you feel from winning a jackpot is exactly what all us slot lovers look for. The odd thing is that there are different types of jackpots. Everything depends on what you are looking for. If you are looking for a jackpot that gets bigger little by little, then you want to play progressive slot machines. But what are progressive slot machines? 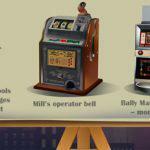 Here is everything you want to know about progressive slot machines. How big can a progressive jackpot get? There is really no telling. The largest progressive jackpots are usually seven figures. Is that big enough for you? This size jackpot is the absolute ultimate “beat the house” instant ever. That is the dream of every slot player, and it is worth playing for. Just about every casino will have progressive slot machines; it does not matter if it is a land-based casino or an online casino. 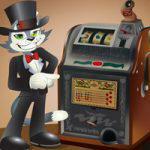 But, did you know that progressive jackpots are not just limited to slot machines? Blackjack, video poker, and some other games have also adopted the progressiveness. Progressive jackpots are just attractive. Nevertheless progressive slots are the most popular progressive games. All you need is hit the winning combo and BAM you have won the progressive jackpot. Essentially this is how progressive jackpots work. They take a little from every wager made and put it into a pool. That pool is used to pay off the jackpot. Many times the slot games are linked together into what is called a local progressive jackpot system. That means that every wager on every game in the system puts money into the progressive jackpot pool. The money accumulates and accumulates until someone hits the jackpot. Now it is quite to be expected that actually hitting the progressive jackpot is going to be very difficult. So it is also to be expected that the time between jackpot hits will be quite long. It sometimes depends on the game you choose. There are, as was previously mentioned, local progressive games, and there are “stand alone” progressive slots. Those progressive slot machines are different. They derived their jackpot pool from that game itself, unlike the local progressive slot machines. Sometimes the local progressive slot machine concept is not so local per se. Some casino groups link the games between all the casino properties that they own. Those jackpots get really, really huge. Some software producers have created networks of massive proportions. Therefore they are capable of amassing jackpots of epic proportions. Not only that, but they grow extremely and unbelievably fast. 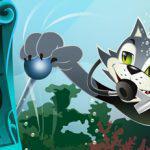 These games tend to be found on online casinos. That, quite obviously, is the easiest way to reach something like that. They have thousands upon thousands of people playing the game all over the world. The trick to winning a progressive jackpot is playing the max bet. You will most likely not be eligible to win the progressive jackpot if you do not play the max bet. But you will be contributing to it, so you might as well play max bet. So, that’s the spiel on progressive jackpot slot games. 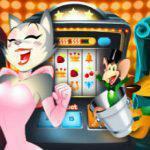 CoolCat Online Casino has lots of great progressive slot games to choose from. So come on in and give them a whirl. You never know; today might be your lucky day.